Originally for the royals, four poster beds carry a regal quality that translates across many cultures. Draped with luxurious velveteen bed fittings, they can carry a princess. In the islands, traditional white linen drapes over streaks of bright silk, nestled between a four-poster’s carved posts. 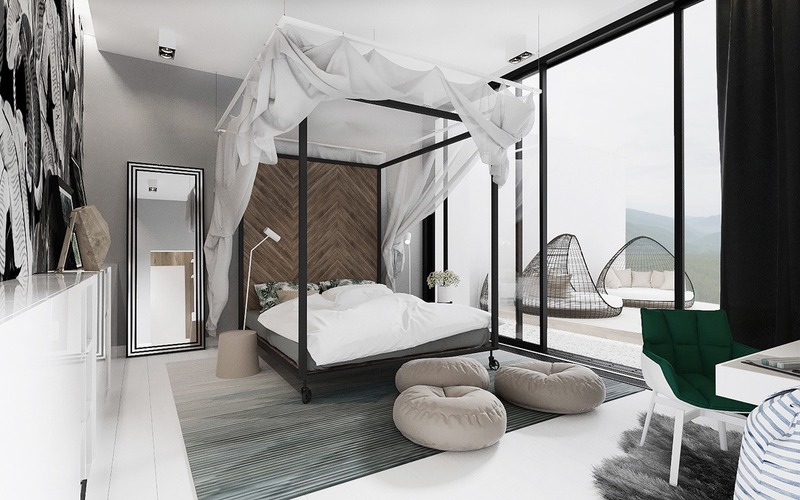 In more modern times, the four poster can take on a variety of materials – wood, metal, twisted iron, acrylics – to create a bedroom vibe truly your own. 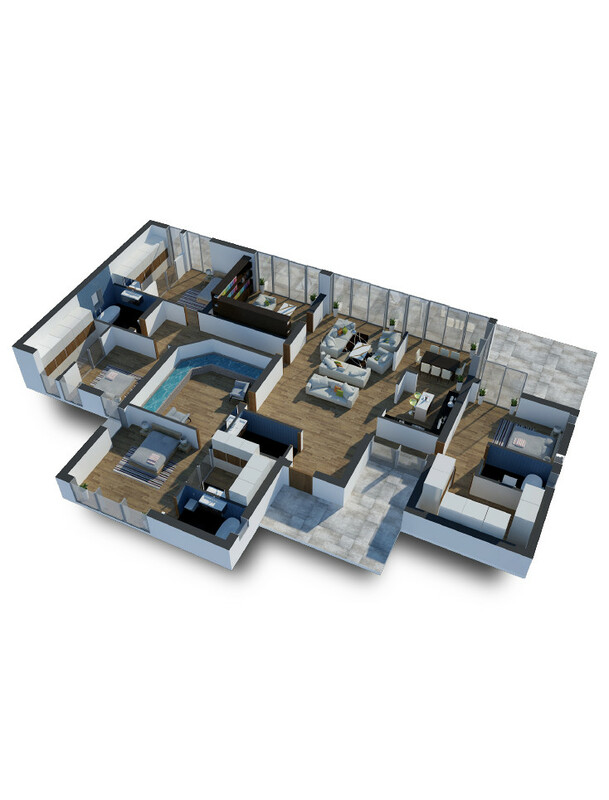 Our list of 32 beds that go beyond the brief in creating spaces for dreamtime can help your visualisations come true. 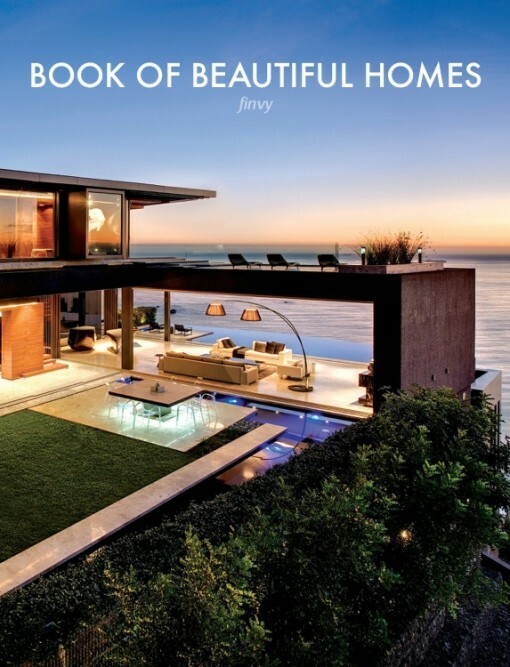 Take a look at our list of inspirational picks below. Simplistic in frame, this black stencil poster matches thin, elegant joinery lines. 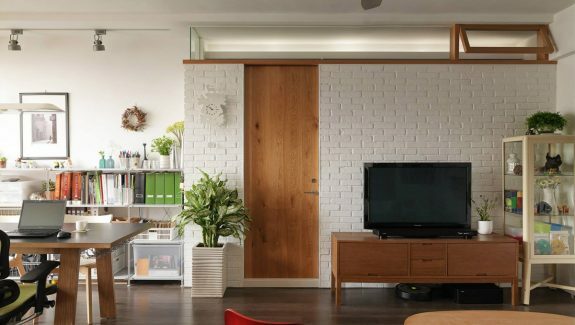 The contrasting wall sconces are a standout feature here. 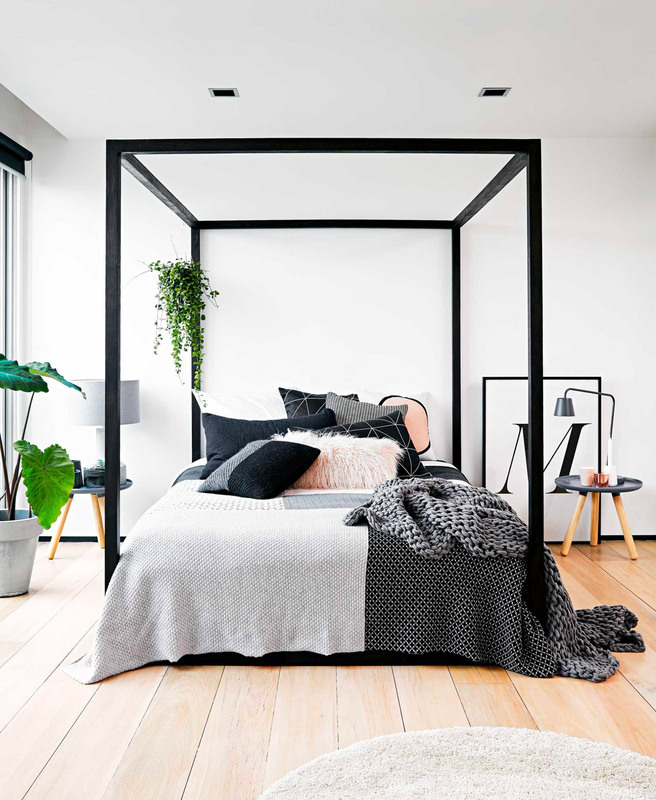 A thicker, futon-style steel frame creates a cube design, reflecting the black lines of a reclining chair and bedside tables. 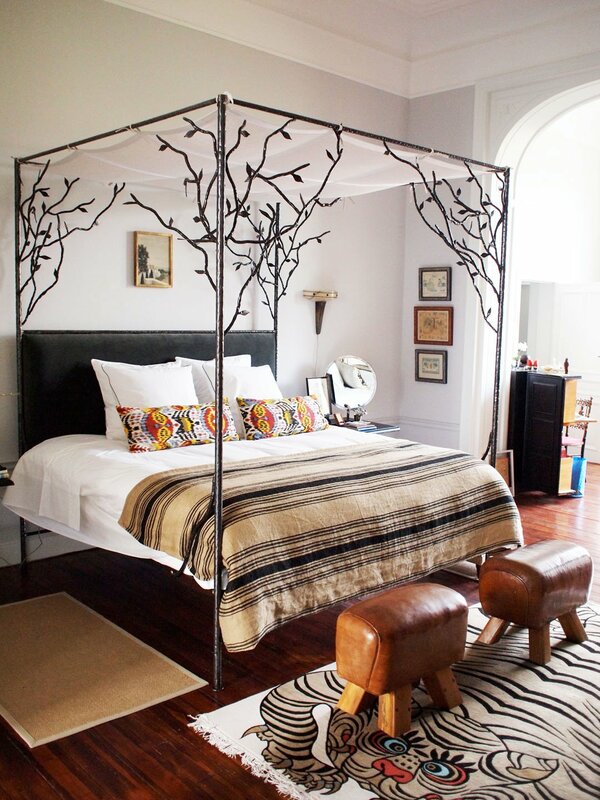 Propped up a little higher, this black four poster makes an impact clothed in simple bedding. 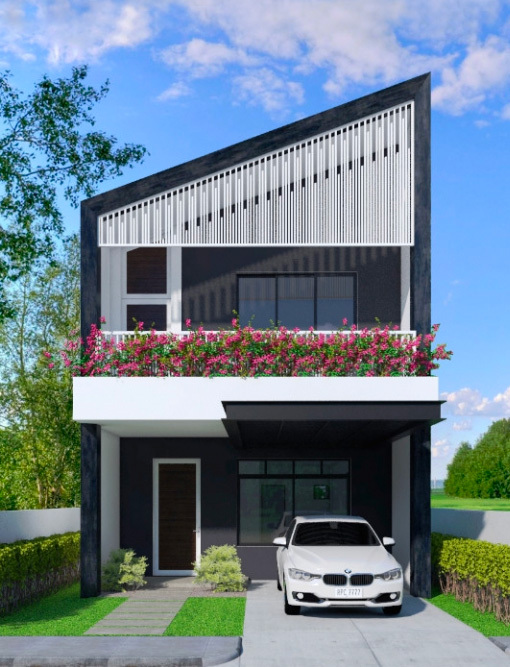 Using grey is a point of difference for this charcoal beauty. The bed frame sits separate to the main structure, allowing headboards to join and the frame to create a larger look. A thin stencil creates a four poster harking back to Japanese-style, futon dreaming. A little thicker but still to the floor, this king poster bed relaxes a room of minimal features. 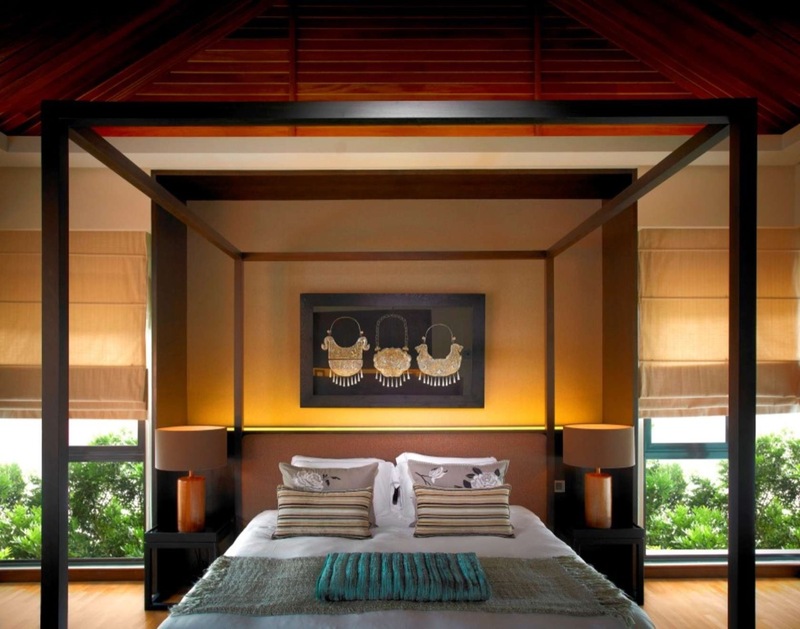 A higher frame hangs geometric Chinese lanterns and a smaller, fabric-made bed. Using distressed materials adds an industrial feel, exacerbated as steel hover lamps peek through the sides of the frame. 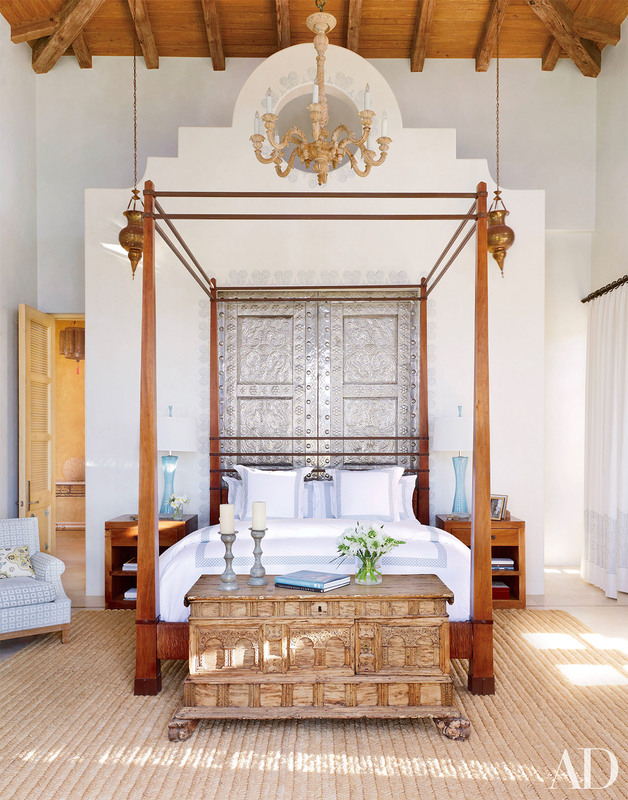 Luxury means a simple sheet draped over the side of this king four poster bed. Golden drop lighting creates elegance in a free-flowing structure. 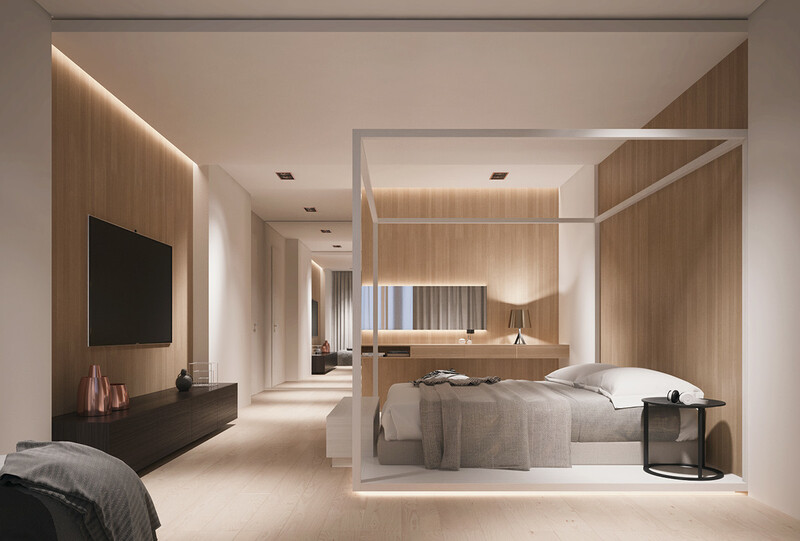 A Scandinavian bedroom fits perfectly with this queen four poster structure. 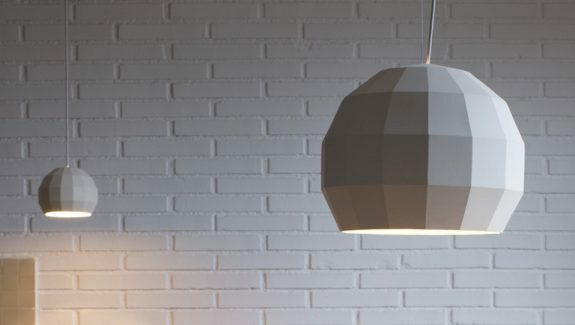 Its simple lines find favour with a white fan, exposed brick wall and bedside lamps. A black iron frame makes a dramatic impact against a white wall. A MRD Home ‘Cubic’ bed lies below creeping ferns and a fluffy pink cushion. Normann Copenhagen ‘Tablo’ side tables and a ‘M’ print from Playtype finish off the look. 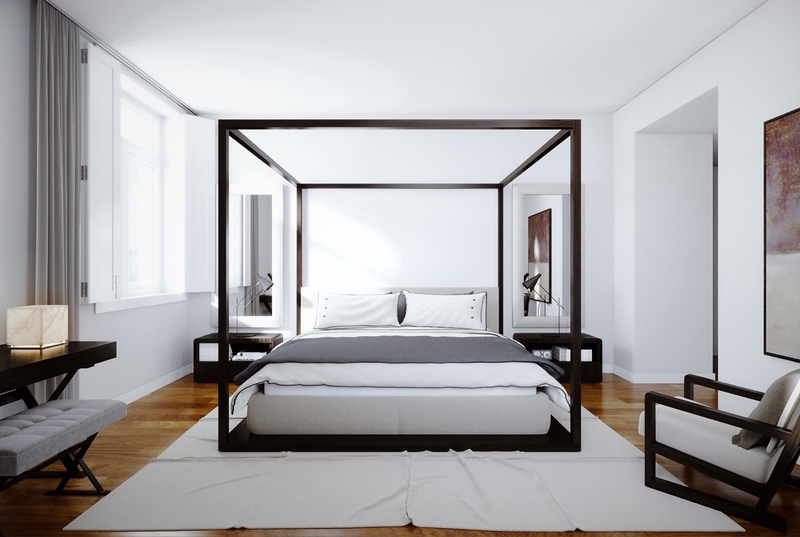 A minimalist dream, this white block frame fits a smaller bed within its frame. White space to the sides, and an ottoman at the bottom, afford space for thought. Stencilled lines exaggerate a black headboard in this elegant, four poster design. 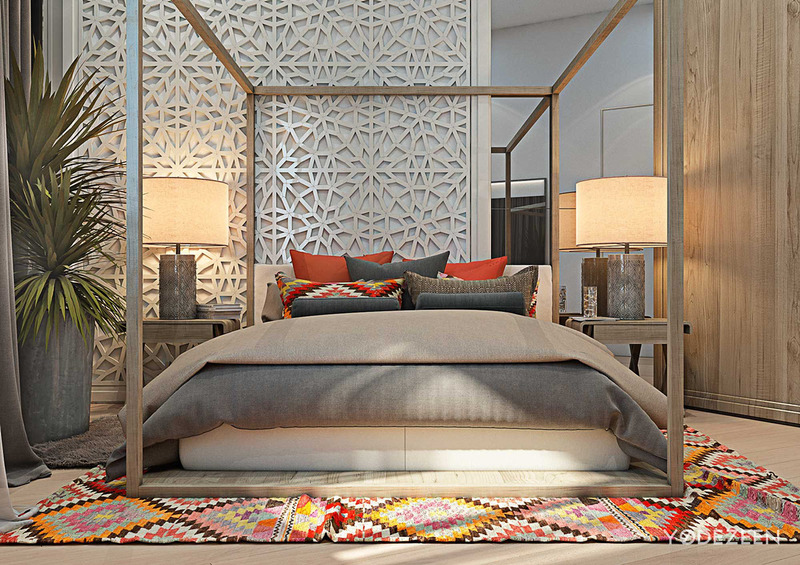 A steppe to the left designates a place for dressing, stretching, or a hint of morning yoga. Reaching halfway up the wall, this modernist cube offers a solid, more boxed-in structure. 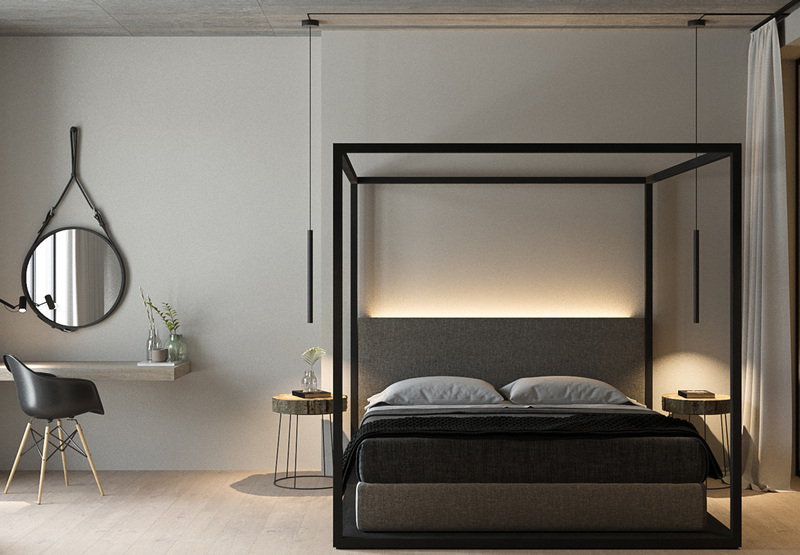 Long, dangling pendant lights make their way through its frame, as a charcoal cotton bed offers a softer place for sleeping. A structure to the rafters is a talking piece for this black four poster. A double-tiered top structure lets chiffon drape beautifully over edges, while diagonally-grafted wood sets a more natural tone. A boxed sensation in beige, this cubic bed holds a bookcase shelf underneath its frame. A slight headboard to the back allows a subtle moose head to pop through the beams. 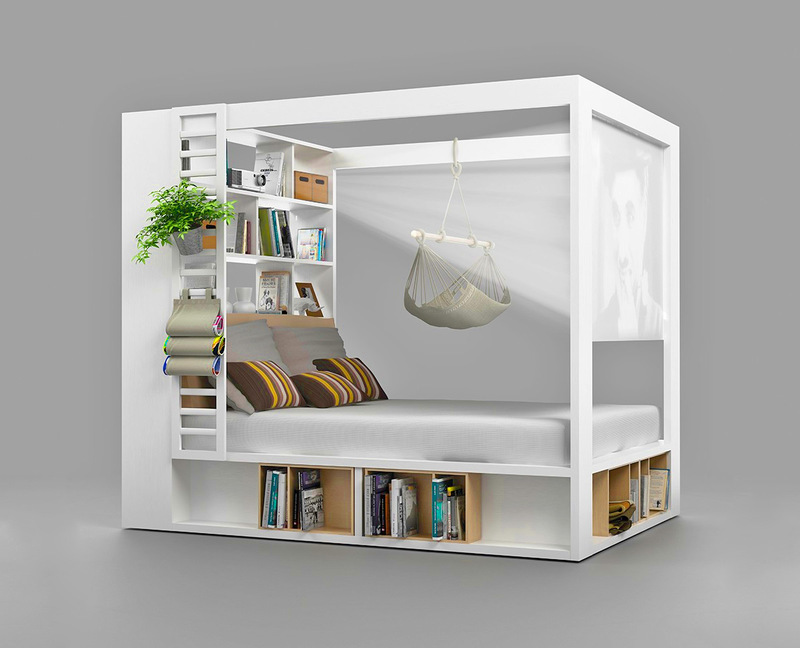 Another all-in-one design, this white frame encapsulates an enclosed storage space, shelving unit and bookshelf. Ladders to the side and a nifty cat hammock mean bedside tables are a thing of the past. 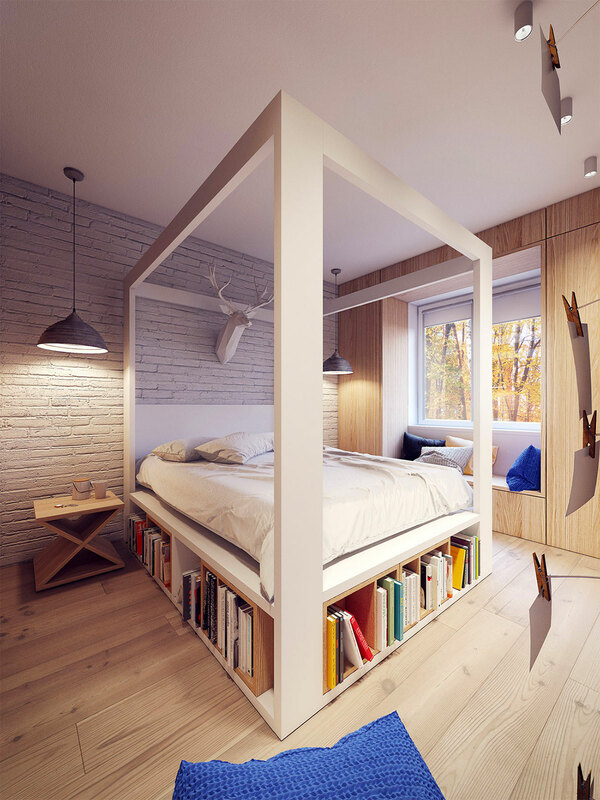 A house-shaped design lets this kids’ four poster become a dollhouse and sleeping space. Sweep her off with the fairies, as your little girl rests inside this four poster. Bathed in dreamy white, its metal rods curtain off the monsters. 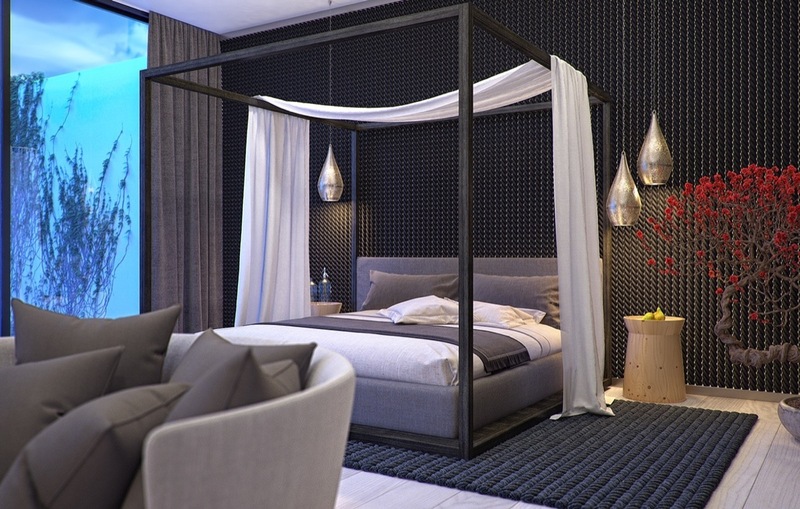 A grey-wood four poster is the answer to modern luxury. 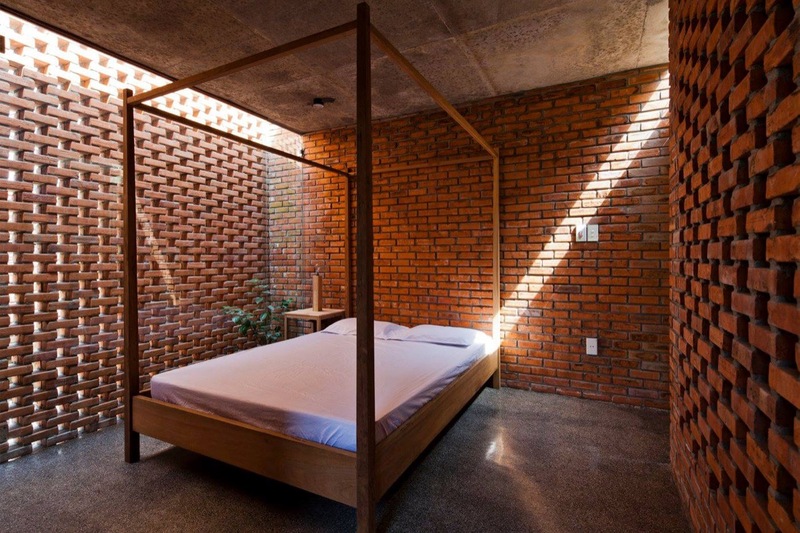 This version holds a wooden slatted floor with a white leather bed. 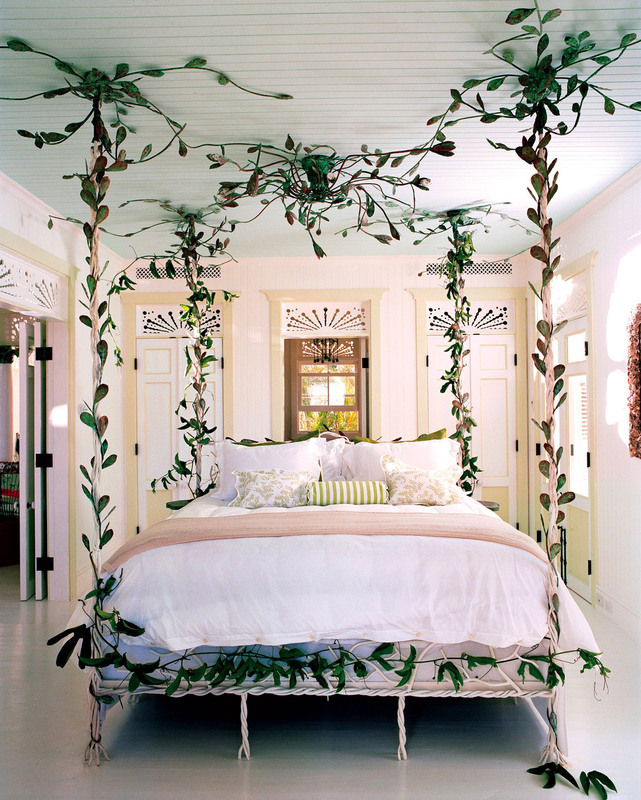 Go for a more tropical look with this dark-wooden, stencilled four poster. 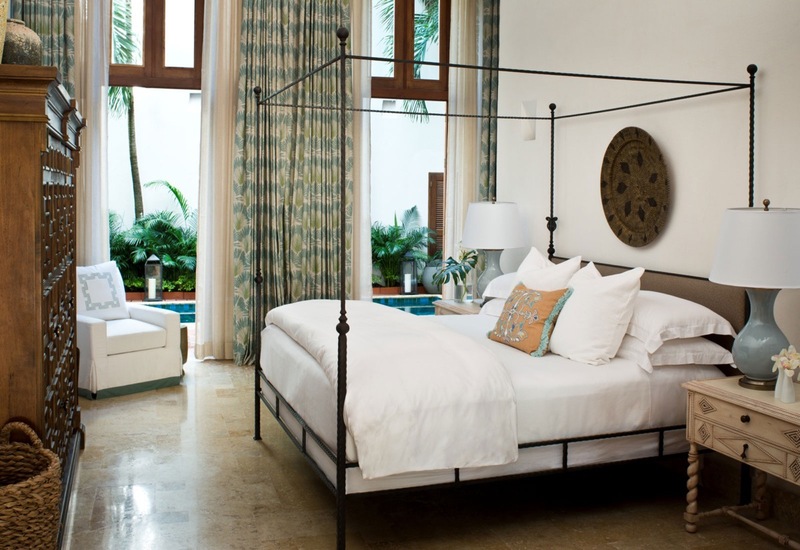 A Caribbean tapestry hangs behind, while a wooden frame elevates the mattress. Make an impact with this stencilled four poster with a set-back enclave. Housing a backing wall and two bedside tables, it makes a feature out of life’s little necessities. 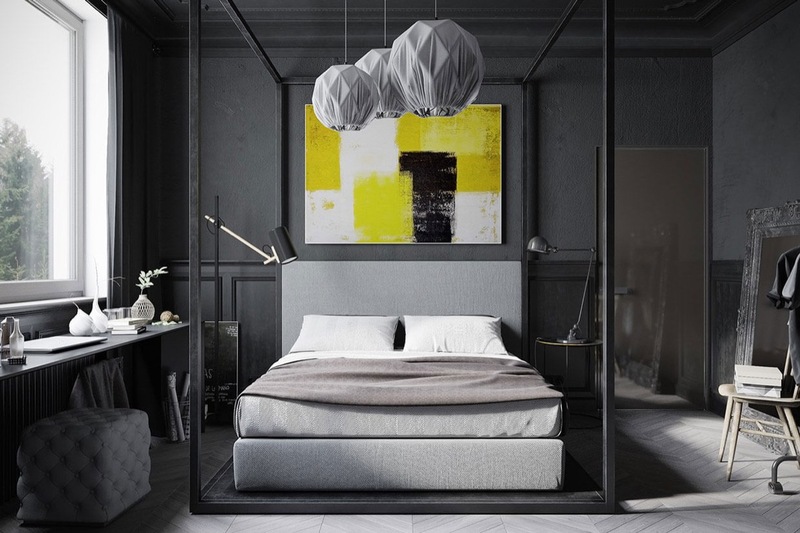 A charcoal acrylic lets in light and grounds a bed, in one tightly-packed module. 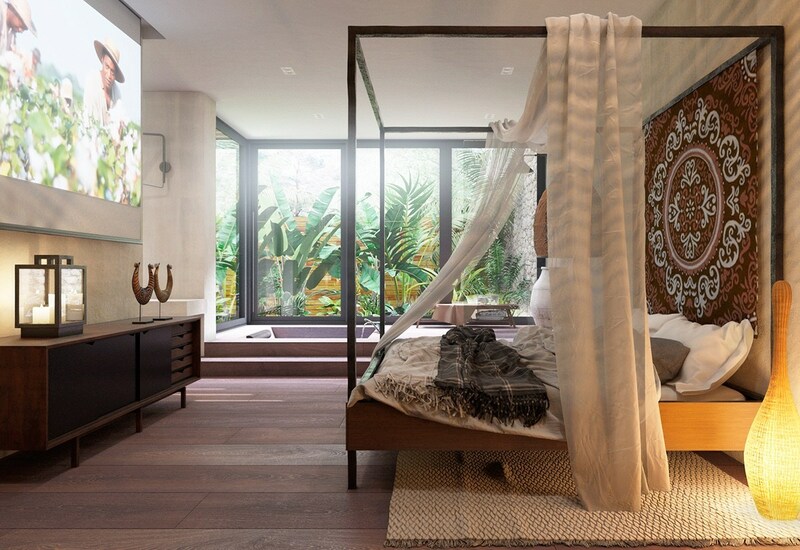 An elevated wooden stencil creates a tropical vibe in this bedroom. Simple white bedding and posts rising above the beams make it unique. A black metal four poster falls to the floor, in this contemporary design. A white leather bed with matching headboard provides the perfect backing. Go to Thailand every night as wood and metal whisk you away. Four varnished wooden posts meet tightened rope and a stunning headboard for a bed sure to impress. Twisted iron creates tiny posts in this fine-lined four poster. Able to work with more ethnic themes, its baubled domes create a subtle aura of majesty. Crafted hardwood with a hickory veneer characterises this Queen, mimicking South-East Asian bamboo. A European headboard brings a French feel. Distressed, black-painted wood makes this four-poster a dream come true. 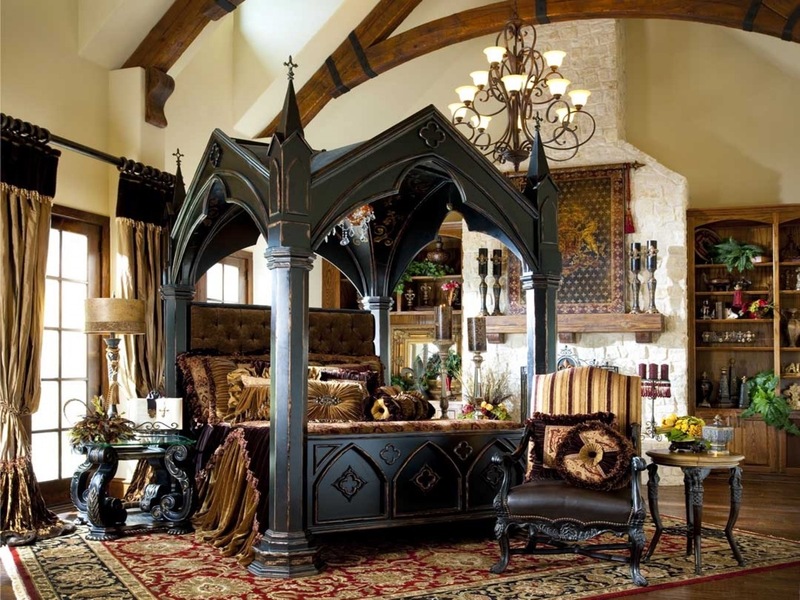 Strong Gothic tones dominate in crossed peaks and a luxurious padded headboard. Made of ashwood and brass, this creative King lets your family sleep comfortably – within a forest. Black steel makes the trees bare and the bed elevated. A soft velveteen headboard grounds this whimsical beauty. 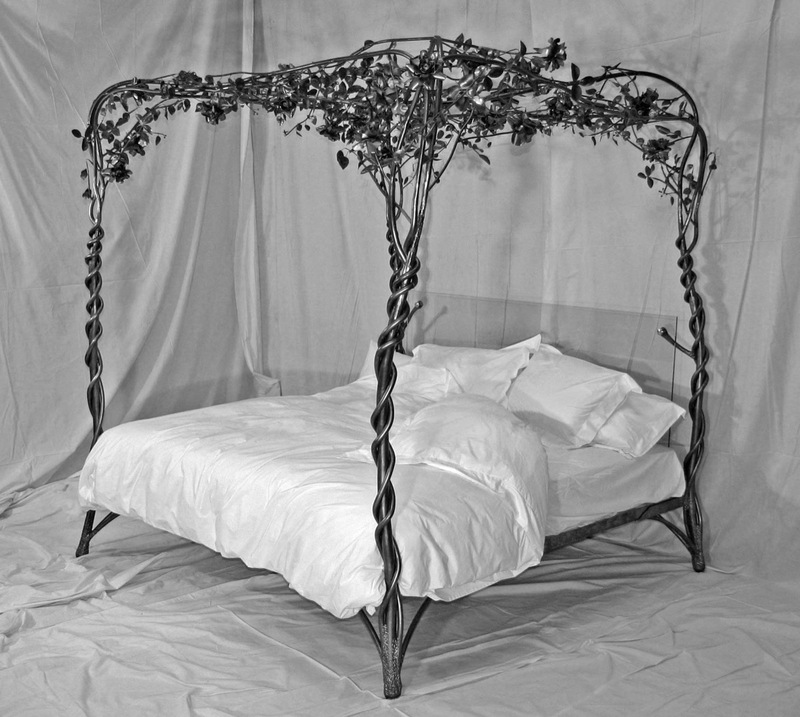 Silver tones twist into a secret garden, creating an elevated bedframe beneath the flowers. White iron merges with faux leaves to create an interior garden. Winding up four posts and surrounding beams, they culminate in a leafy centrepiece adhering to the ceiling. 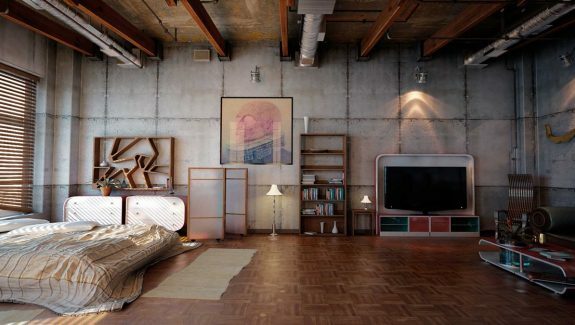 Modern 4 poster beds like these are can fit in a modern, industrial or vintage setting and can be adapted to sport a timeless look.